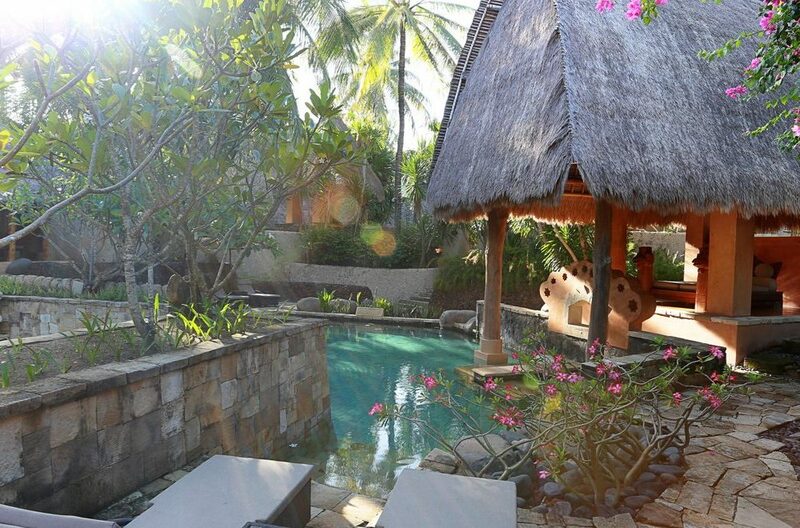 The Garden Pool Villas are the gemstone of our private accommodation at Novotel Lombok Resort. With options for one, three, four and five bedroom villas, this is the ultimate spot for a family getaway or girl’s weekend. 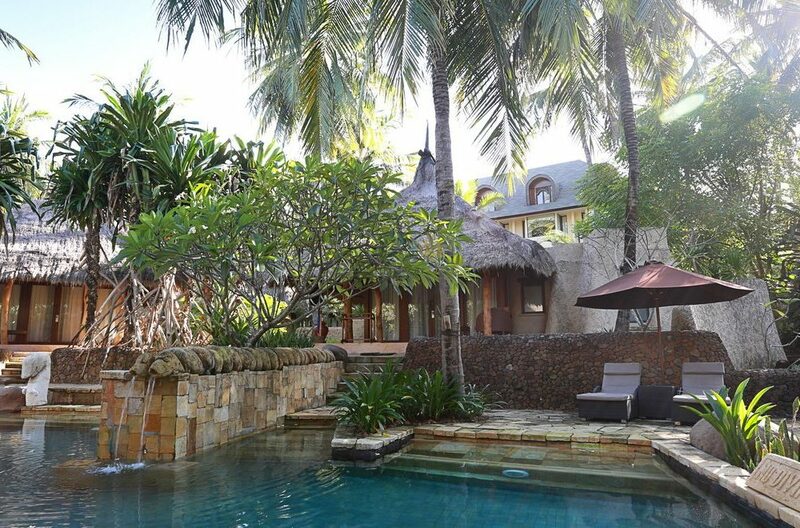 The villas are luxuriously appointed, surrounded by tropical manicured gardens and a private pool complete with statuesque fountains and daybeds for lounging. Enjoy the world-class restaurant and Novotel fitness center or wander down a pathway to the beach to wade in the crystal blue waters of the Indian Ocean. 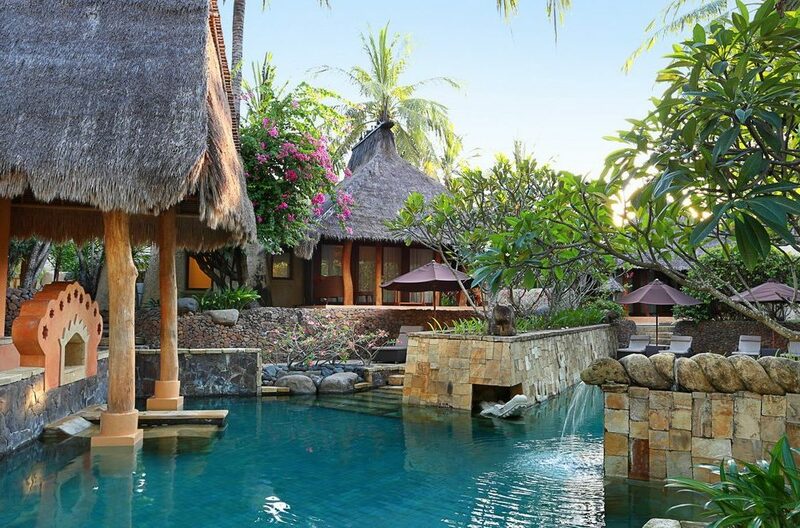 Every moment in the Garden Pool Villas at Novotel Lombok Resort can be spent immersed in beauty and style. The villa interiors are gorgeous, accommodating as many as 4 couples in lush, well appointed bedrooms complete with en-suites and air-conditioning. Wander between living areas and bedrooms as you relax in to your holiday, chose to take long baths while overlooking the foliage, or relax in one of the scattered bale areas. Each room contains a TV and DVD player if you wish to spend a quiet evening in and comfortable chairs to sink into with your book. 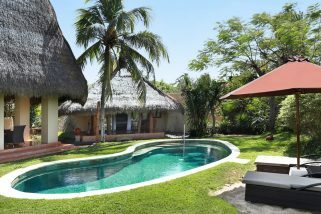 The Garden Pool Villas are built centrally around an incredible multi layered azure blue pool. Alternate dips in cool water with sunbaking or lounging in the shade for a nap after an adventurous morning. Enjoy room service delivered to the poolside and feel free to shoo the kids off to another part of the ample villa space to ensure a bit of privacy for you and your loved one. Surrounded by tropical greenery and dotted with traditional pieces of art, the Garden Pool Villa outdoor area will make this holiday one you’ll remember for years. 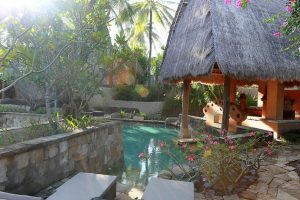 Novotel Lombok Resort’s premium staff members service the Garden Pool Villas. You will enjoy a daily housekeeping service as well as on-call room service. 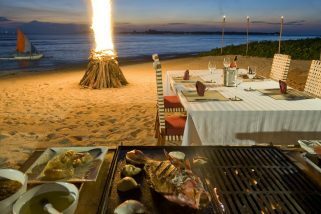 Or you can simply wander over to the world-class restaurant to enjoy a meal with gorgeous views. Stay for more than two nights and you’ll be treated with airport transfers, daily breakfast for two and a hair spa, plus yoga experience for you and one other travel partner. 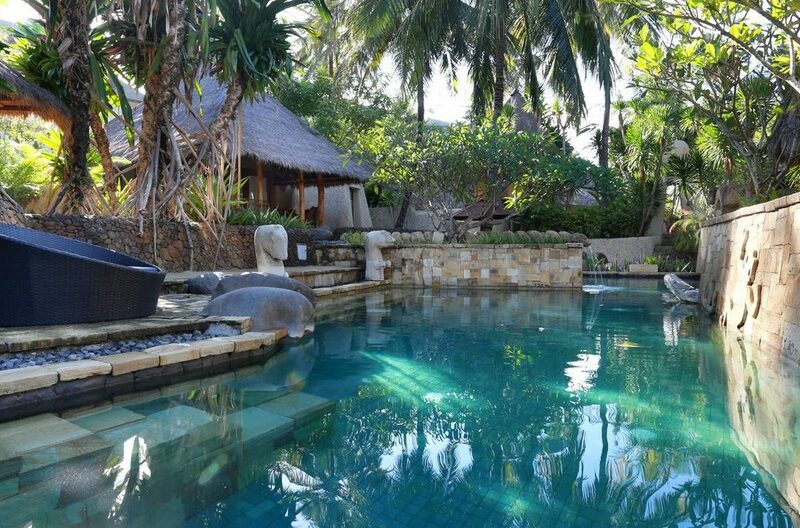 Take a well-earned break in a one-bedroom private pool villa by Novotel Lombok. With a distinguished mix of luxury and tradition these cozy; hotel-style villas include exclusive access to your own private pool. Sepoi Sepoi means ‘Sea Breeze’ and this 6 bedroom villa is aptly named as it sits catching the warm ocean air in four and a half acres of manicured coconut grove on the virgin white sands of the north-west of the island of Lombok, a relatively undiscovered paradise.